Born at Winnipeg on 18 April 1905, son of Maurice Halter and Rhoda Lechtzier (1893-1973), brother of Aubrey Halter, he graduated in arts and law from the University of Manitoba, then practised law in Winnipeg, and was appointed a King’s Counsel in 1948. 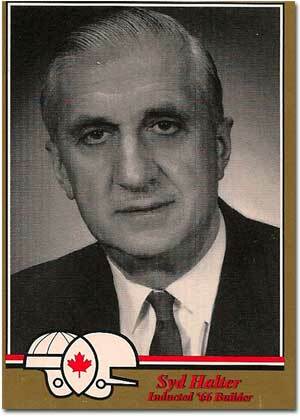 He was President of the Amateur Athletic Union of Canada from 1938 to 1946. 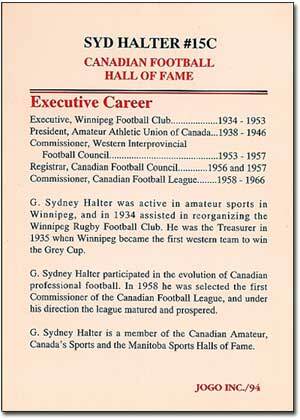 He served as an executive of the Winnipeg Football Club for years, becoming commissioner of the Western Interprovincial Football Union from 1953 to 1957 and then commissioner of the Canadian Football League from 1958 to 1967. 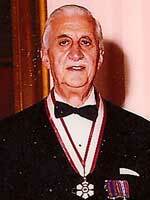 Halter was chair of the Manitoba Horse Racing Commission (1965-71 and 1978-81). He is a member of the Canadian Football Hall of Fame and the Manitoba Sports Hall of Fame. He was given a Manitoba Golden Boy Award (1961), a Manitoba Centennial Medal from the Manitoba Historical Society (1970), and a Queen Elizabeth II Silver Jubilee Medal (1977). He was named an Officer of the Order of Canada in 1977. He died at his Winnipeg home on 25 October 1990 and was buried in the Shaarey Zedek Cemetery. Obituary, Winnipeg Free Press, 26 October 1990. “Sports legend Halter dies at 85,” Winnipeg Free Press, 26 October 1990. We thank Reese Halter for providing additional information used here.